In December, The New York Times reported that disgruntled Arizonans were lobbing rocks at Waymo’s autonomous (but not unoccupied) vans. Experts, and the rock-throwers themselves, blamed the attacks on a combination of economic anxiety and safety fears (a woman was struck and killed by a self-driving Uber in Tempe last March). While it’s unlikely any modern-day Luddites attended last week’s CES in Vegas, companies like Intel and Baidu, and even Transportation Secretary Elaine Chao were hard at work addressing consumer fears. 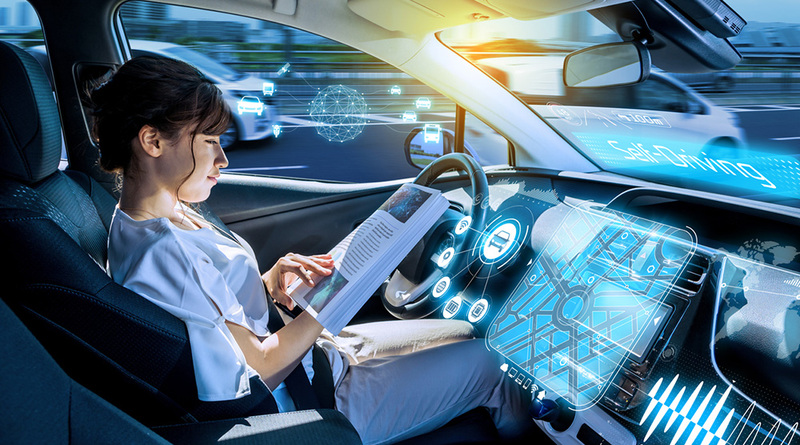 With Congress expected to consider legislation regulating autonomous vehicles—the intense conversation and debate over security and safety will remain front and center. Counting out the projectile-hurling robot-haters (for now), what’s it going to take for average consumers to purchase, ride in, and share the road with these vehicles? That’s the billion(s) dollar question we set out to answer in our self-funded Consumer Pulse. We surveyed 2,000 U.S. consumers (thanks to Dynata for providing sample! ), conducted ethnographies, and in-depth interviews—including ride-alongs—to identify the segments of the adult U.S. population that have different reactions to and perceptions of a range of assisted and autonomous driving scenarios. We went beyond the typical examination of functional benefits to understand the emotions (both positive and negative) driving and deterring greater acceptance and adoption. Chris Neal, CMB’s VP of Tech and Telecom, will share the results at the Quirks Event on March 6 at 2:15 pm in Brooklyn. Want an advance copy of the report this spring? Megan McManaman is CMB's Marketing Director, she welcomes our new robot chauffers.